Sir Daniel Williams is the founder of the firm of Danny Williams & Co. Sir Daniel was the Governor General of Grenada from 1996 until he demitted office on the 18th of November, 2008. Sir Daniel was Knighted by Her Majesty Queen Elizabeth II in 1997 with the Order of Knight Grand Cross of the most distinguished order of St. Michael and St. George (GCMG) and, earlier, was appointed one of Her Majesty’s Queen’s Counsel (QC) in 1996. Sir Daniel now heads the firm of Danny Williams & Co. and is an international legal consultant. Sir Daniel obtained his LL.B. degree from London University in 1967 and in 1968 was awarded Barrister-at-Law Certificate from the Council of Legal Education, London, Lincoln’s Inn. 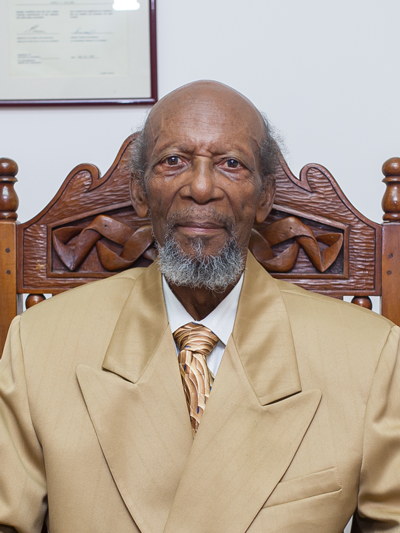 Sir Daniel worked in private practice in Grenada from 1968 until he took up the post of a Magistrate in St. Lucia during the years 1970-74, before returning to private practice in Grenada. From 1984-89 he served as Minister for Health, Housing and Environment, for Community Development and Women’s Affairs, acted as Prime Minister, Minister of Legal Affairs and Attorney General. After public office, Sir Daniel again engaged himself in private practice until 1996 when he was appointed to the highest office in Grenada being that of Governor General. Sir Daniel has authored several books, a booklet and has other publications to his credit. He is Author of the Booklet The Office and Duties of the Governor-General of Grenada 1998, Index of the Laws of Grenada 1959-1979, Compendium of the Laws of Grenada 1985 (Incorporated in Vol.7 of Modern Legal Systems Cyclopaedia Central America and the Caribbean, General Editor Professor Kenneth Robert Redden of University of Virginia U.S.A.). He is also the Author of the following books: A Synoptic View of the Public Service of Grenada 1999, Prescription for a Model Grenada 2000, God Speaks 2001, The Layman’s Lawbook 2002, The Love of God 2004 and Government of the Global Village 2007, see http://govglobalvillage.com/. Sir Daniel is the co-founder of the Grenada Carriacou & Petit Martinique Foundation For Needy Students Inc. a charitable body incorporated in Grenada and the US with the primary purpose being to assist with the education of the less fortunate students. He has varied interests and has been closely associated with scouting, education, sports, astronomy, aviation, philosophy and social and religious activities and has championed the cause of students. Mrs. Daniella Williams Mitchell holds a Masters of Law Degree in Intellectual Property law from the Benjamin Cardozo School of Law of Yeshiva University in New York . She is also a graduate of the University of the West Indies (LL.B. Hons.) and the Hugh Wooding Law School (L.E.C.). She is a general practitioner with more focus on civil law. 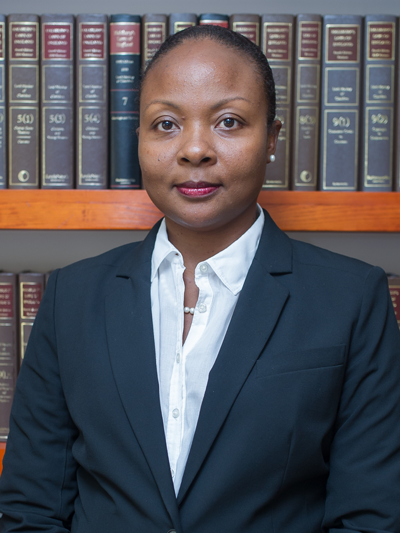 Mrs. Williams Mitchell has a keen interest in Intellectual Property law and the reform of Copyright, Patent, Trademark and other Intellectual Property related laws in Grenada . While pursuing her Masters Degree in New York , Ms. Williams interned at the New York Office of the World Intellectual Property Organisation, an agency of the United Nations where she enhanced her knowledge of international intellectual property issues. Mrs. Williams Mitchell is a member of the International Bar Association (IBA). She was twice awarded a scholarship to attend the Business Law Conference of the IBA in Mexico and South Africa in 2001 and 2002 respectively. 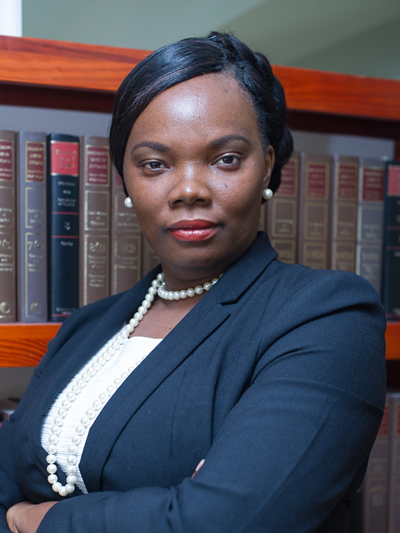 She is also a member of the Grenada Bar Association and is a former Secretary of the Association. Outside of the law, Mrs. Williams Mitchell is a Charter Member of the Spice Isle Optimist Club of Grenada, an affiliate member of Optimist International, and is a former member of the Board. She is also a member of and assistant secretary of the Grenada, Carriacou and Petit Martinique Foundation For Needy Students Inc.. She was also recently elected to the Board of the Grenada Planned Parenthood Association. Miss Burris’s practice encompasses both Criminal and Civil law with special emphasis on Corporate, Employment and Insurance law. Miss Burris obtained her law degree at the University of East London, the United Kingdom in 2008 graduating with Upper Second Class Honours. She obtained her Bar Professional Training Course certificate from City Law School London, the United Kingdom in 2012. She was called to the Bar at Grey’s Inn London, United Kingdom in November 2012 and admitted to practice in Grenada in December 2012. 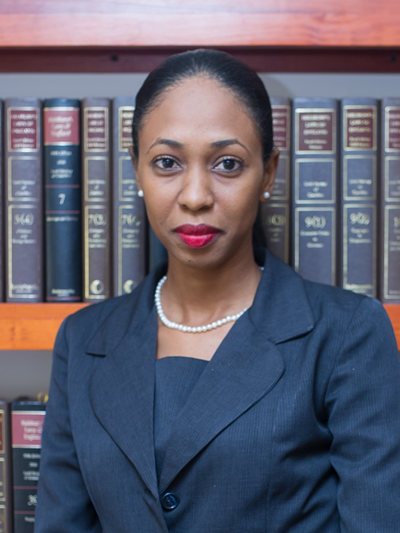 Ms. Rena L Banfield was admitted into practice in Grenada in 2015 and joined the firm of Danny Williams & Co. in October 2015. She holds a Bachelor of Laws (Hons.) degree from the University of the West Indies, Cavehill Campus Barbados and the Legal Education Certificate from the Council of Legal Education, Hugh Wooding Law School, Trinidad and Tobago. Her main areas of practice are civil litigation, conveyancing, family law and administration of estates. except on Public Holidays 8:00 a.m. 4:00 p.m.
© 2017 Danny Williams and Company. All Rights Reserved.